Lance George debates his decision to return to his hometown, but the price is right on the abandoned veterinary hospital he hopes to buy. He’s saved his money to open his practice by living frugally and purchasing wisely. There’s no room in his life for wasteful spending. His alcoholic mother squandered everything she had when he was growing up, leaving him with an obsessive motivation to achieve financial security. Iris Porter is unaware that she broke Lance’s heart in high school. She’s too busy trying to earn a living in a tough economy. She hopes to reclaim her old job as a veterinary assistant when Lance reopens the town’s only animal clinic. Popular and friendly, Iris is known to be generous to a fault. When a friend’s baby is stricken with leukemia, she organizes fundraisers and enlists Lance’s help. Lance’s feelings for Iris rekindle when he realizes how much she’s changed. The high school snob is at odds with the caring, sensitive woman who wants to help a family in need. But can he reconcile Iris’s generous spirit with his overpowering need for penny pinching? Popular cheerleader Iris Porter had no time for geeky Lance George in high school, but much has changed in nine years. Lance has matured into a handsome, successful veterinarian while Iris struggles to pay bills working part-time jobs. Can they finally find romance together? Or can the quintessential miser tolerate her freehearted, generous nature? Lance George cruised into town in a fog of black insects and misgivings. He’d had good reason to leave home years ago. Was returning a mistake? He’d debated during the entire three-hour drive from Tallahassee and still questioned his decision. But he was here now. The moving company had his packed belongings ready to deliver. Inhaling a breath for courage, he slowed at the Welcome to Drake Springs sign. Searching familiar landmarks, he recognized the Hurricane Lantern, a rustic restaurant located on Highway 471. To his left stood the stately Wilson home, vacant and for sale. Five blocks past the city limits sign, Highway 471 became Main Street. He passed the First Foster Bank and Boyd’s Diner, both still in business. A left turn here would take him to the high school, but he’d skip that detour down bad-memory lane. She continued toward the courthouse. She hadn’t lost that subtle but alluring sway of hip that drew the attention of every male student standing in the halls at Foster County High—especially him. Instead of mounting her bicycle and riding, she chain-locked it to an oak tree. A middle-aged, heavyset woman stood in the gravel parking lot. He parked his Transit Connect beside her late model Buick. He’d recently purchased the economical business van in preparation for his new practice. It was small enough to serve as his personal vehicle, too. Unlike his mother, Lance did his research and made practical choices. Impulse buying got people in trouble. He gave a noncommittal murmur, but he’d be nuts to live anywhere else. Living near the clinic made economic sense. He wouldn’t spend more than he needed to. The bedrooms were roomy enough, especially the owner’s suite with its own bathroom and walk-in closet. She led him into the kitchen. The appliances looked new. Doctor Hodges hadn’t been one to cook as far as he could tell. But Doc George enjoyed cooking. And he could make the most of this spacious, well-appointed kitchen. Jittery with nerves, he went inside the building and paced the reception area. This was it. He was about to gamble—no, not gamble--invest his savings into his own practice. He’d have to start out conservatively, at least until he knew how many patients he’d have. One experienced assistant would be a good idea. He could hire more staff as his practice grew. He fished the business card from his pocket and flipped it over to read the name. His hand trembled. The card flew from his fingers. Cheryl Norman grew up in Louisville, Kentucky, and earned a BA in English at Georgia State University in Atlanta. After a career in the telecommunications industry, she turned to fiction writing and won the 2003 EPPIE award for her contemporary romance, Last Resort. Her debut with Medallion Press, Restore My Heart, led to a mention in Publisher's Weekly as one of ten new romance authors to watch. 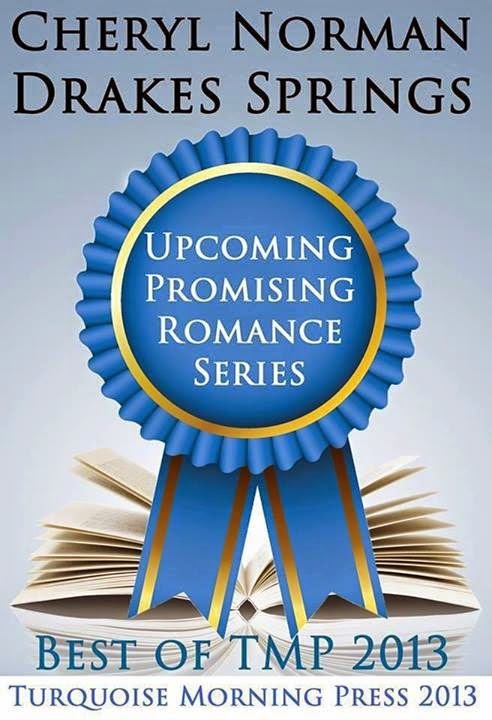 Running Scared, a romantic suspense set in Jacksonville, Florida, and Washington D.C., received a Perfect 10 from Romance Reviews Today. Reviewer Harriet Klausner calls her writing "Mindful of Linda Howard." 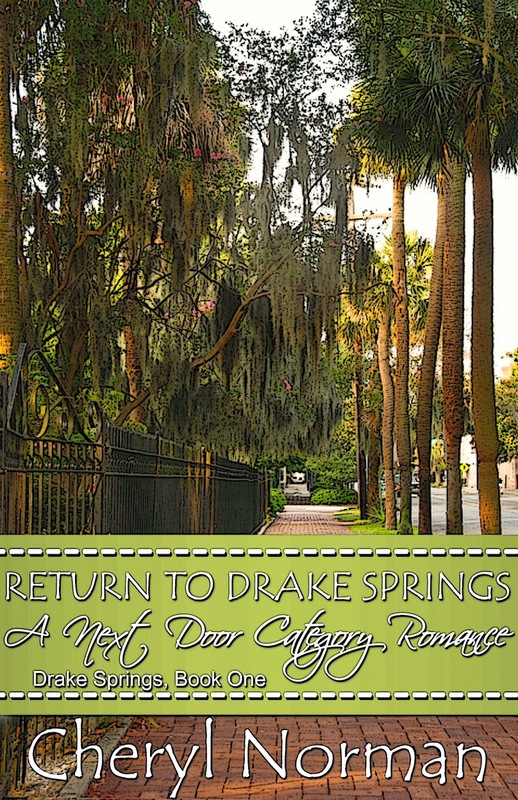 She currently writes the Drake Springs series romance novels for Turquoise Morning Press. Her passion for cooking and healthful eating led her to write four cookbooks and an award-winning blog, The Hasty Tasty Meals Kitchen (hastytastymeals.com). She also offers writers grammar help via her Grammar Cop blog, newsletter articles, and workshops. 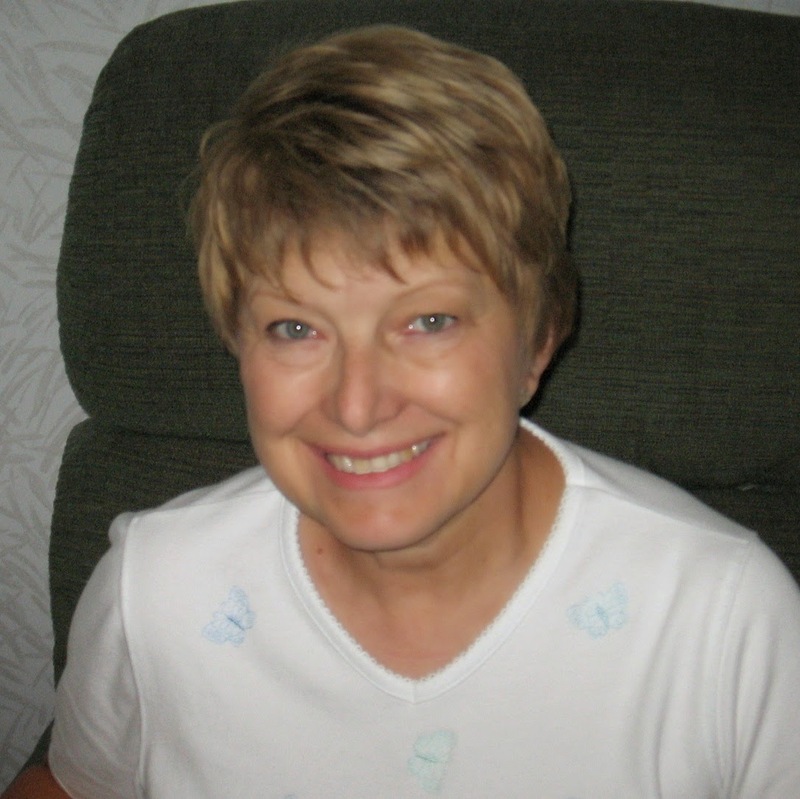 In addition to writing fiction and cookbooks, Cheryl works with other breast cancer survivors to raise awareness about early detection and treatment of the disease. 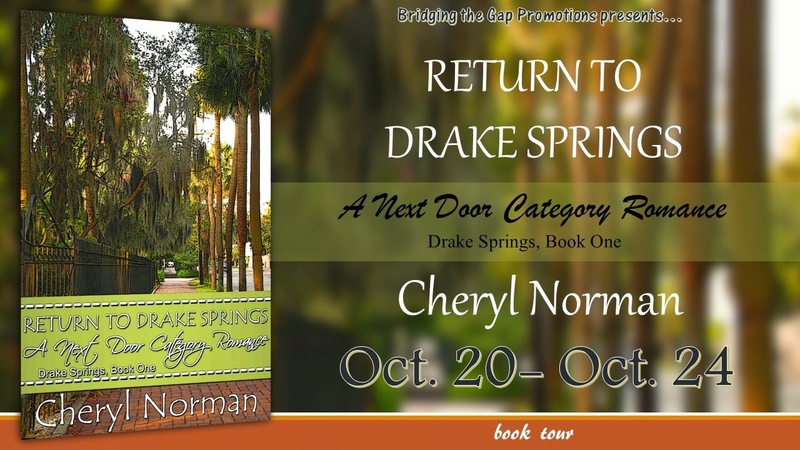 Giveaway: signed copies of the original Drake Springs novels, RECLAIM MY LIFE and REBUILD MY WORLD. US only.